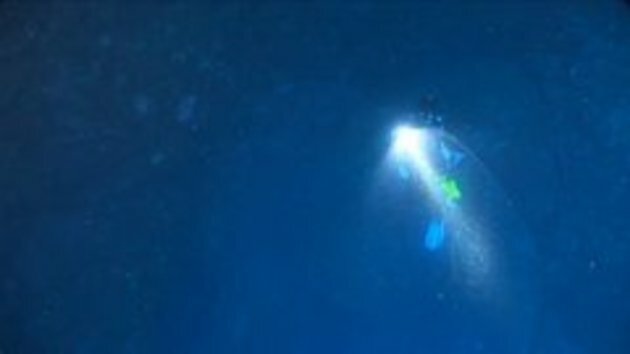 "these divers found a bizarre organism floating 22 meters below the surface of the water. " OMG IT'S... the world's biggest plastic bag. Incredible. At one point I felt as though I were looking into outer space.